The Canadian military purchased its very first helicopter–a Sikorsky S-51–in 1947. It had looked at the potential of helicopters in search and rescue (SAR) operations during the latter part of Second World War, but despite the Royal Canadian Air Force (RCAF) registering interest in the Sikorsky R-6, it had to wait until after the war to get its hands on a rotary-wing aircraft. Sikorsky started production of the S-51, which was an upgrade of the wartime R-5, in 1946. It was originally manufactured for commercial use, but with sales sluggish in that realm, Igor Sikorsky switched gears to push the type to the military in the U.S., Canada, and overseas. He quickly saw success with the RCAF placing an order for seven aircraft. The S-51 was a four-place helicopter, with the pilot up front and three passengers in the back on a bench seat. Powered by a 450-horsepower Pratt & Whitney R-985 Wasp Junior radial engine, it had a gross weight of 5,500 pounds (2,495 kilograms) with a useful load of 1,450 pounds (655 kilograms). It cruised at 85 miles per hour (135 kilometres per hour), had a service ceiling of 14,800 feet (4,510 metres), and a range of 300 miles (480 kilometres). The S-51 came with an electric hoist (controllable from both front and back seats), and could accommodate a casualty litter. While the aircraft’s military designation was the H-5, it was mostly referred to as the S-51 by the Canadians. Flying Officer Tomas Wallnutt (one of five senior flying instructors at the Central Flying School in Trenton, Ontario) was the first RCAF pilot selected for helicopter training at the Sikorsky Plant in Bridgeport, Conn. He received a familiarization flight on Feb. 11, 1947, and began his dual instruction the next day in a wartime R-4 helicopter. He flew his first solo flight a week later, quickly graduated to the S-51, and completed his training with about 35 hours on March 11. The following day, he began a two-day ferry flight with Canada’s first S-51 from Bridgeport to Trenton. He flew the aircraft daily to build his time and proficiency with it, and returned to the U.S. on March 19 to ferry the second S-51. On March 28, Wallnutt suffered a serious accident with one of the aircraft during autorotation practice, brushing a runway with the aircraft’s laminated wooden tail rotor. “I received no indication of this happening and opened the throttle to complete another circuit,” he later recalled during an interview. “At 200 feet or so altitude, the tail rotor splintered apart and the vibration tore the entire gear box from the tail. The aircraft entered a violent spin and crashed on the runway.” Wallnutt was thrown through the left side of the aircraft and ended up on the runway–where he was struck by one of the main rotor blades. Luckily, there was no post-crash fire, and he managed to survive the incident. However, he was unable to fly for nine months, and never flew in a helicopter again. 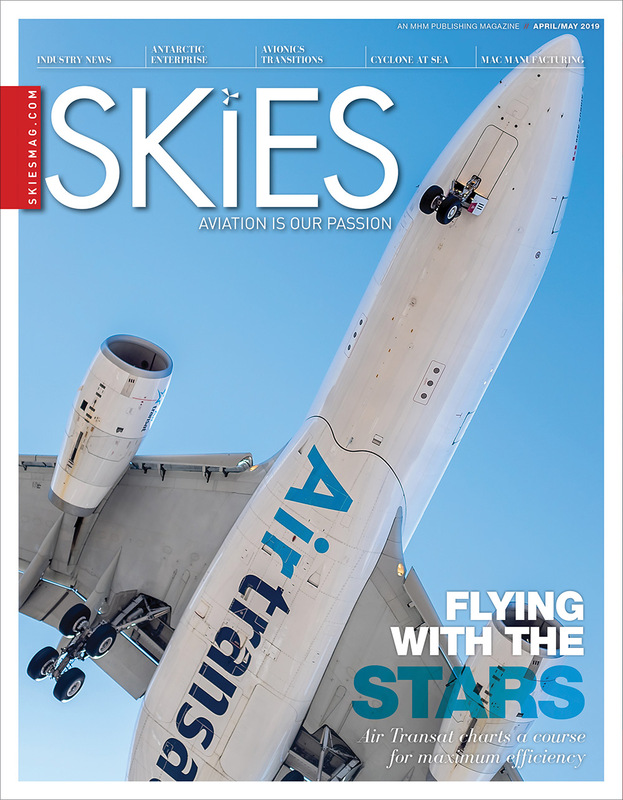 The accident was later attributed to the aircraft’s center of gravity limits being exceeded due to a lack of attention to the proper ballast on board. 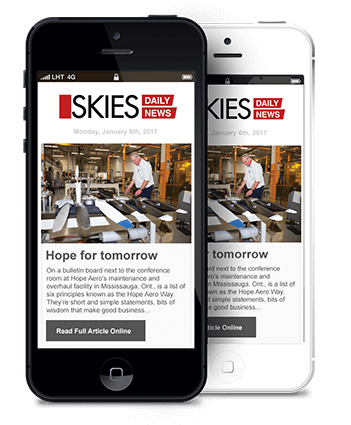 The aircraft was returned to Sikorsky for overhaul and repairs. Flight Lieutenant Pat Clark was the next RCAF pilot to receive helicopter training, completing his conversion to helicopters in Bridgeport on June 11, 1947. On returning to Canada, Clark spent some time on demonstrations and test flights with the second S-51, and began instructing at the new flying school in Trenton on June 25. Flying Officers Tom Causey, Bob Heaslip, and Bert Milliken were his first students, and became fully-fledged instructors themselves on Sept. 20. The mandate for the RCAF’s S-51/H-5 was flight training and SAR, and the first operational RCAF squadron for the S-51 was at 103 Search and Rescue (S&R) Flight in Dartmouth, N.S. Its first mission was on Oct. 16, when it responded to the crash of a Navy Supermarine Seafire aircraft near the outskirts of Dartmouth. On Oct. 27, the helicopter and Causey moved to the Air Force Station at Greenwood, N.S.–again with 103 S&R Flight–where it remained on SAR duties. Causey began training new pilots on the type the following March. On Dec. 6, Heaslip was posted to 112 Transport Flight at Rivers, Manitoba, to help set up a new helicopter flight training school for Air Force, Army and a few Navy pilots. The following August, he was posted to De Havilland Aircraft in Toronto for conversion to the Bell 47D. Milliken, meanwhile, was attached to the 412 Composite Squadron in Rockcliffe, Ontario, and served as the main training pilot at the Experimental and Proving Establishment. He ferried the RCAF’s fourth and fifth S-51s from Bridgeport to Rockcliffe towards the end of 1948. “Of all the aircraft that Bert flew, he had the most affection for the S-51 helicopter and loved his flying days on rotary wing at Rockcliffe,” his wife, Dorothy, later wrote. By the end of 1948, the two newest S-51s were in Rivers and assigned to the Army for training at the Light Aircraft School (LAS). The RCAF was to receive its final two S-51s–its sixth and seventh–in 1949. In between several accidents that required repairs, the first S-51 arrived in Edmonton, Alta., from where it travelled to numerous airshows throughout the province, and took part in at least one SAR mission. The second S-51 continued SAR operations and training in Greenwood, and it also took part in airshows, while the third moved to Trenton, Ont., notably appearing at the Canadian National Expedition in Toronto in late August 1949. 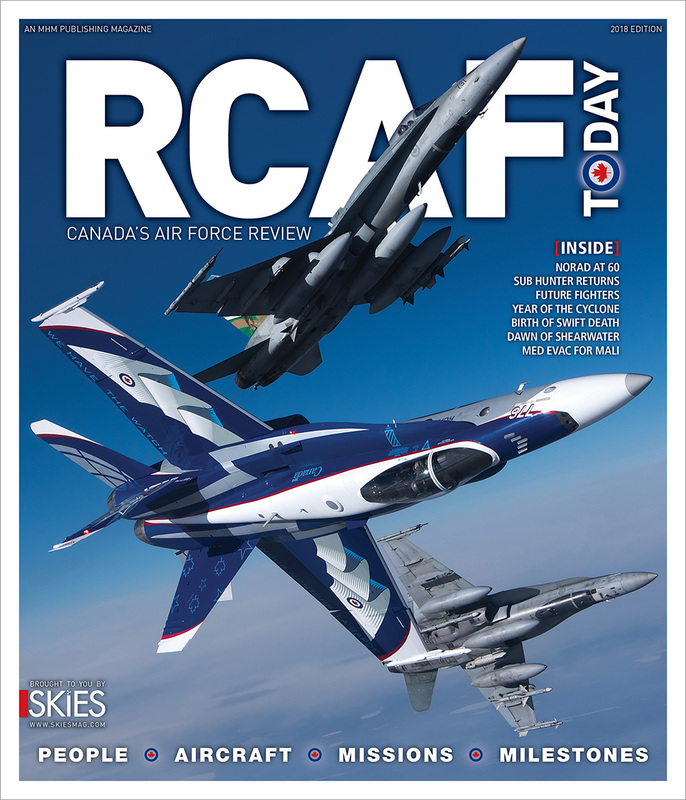 On April 1, 1949, the Canadian Joint Air Training Center (CJATC) was created at Rivers, Man. Both Army S-51s spent the year at Rivers being used to train new pilots, along with two Bell 47Ds. Of course, the S-51s all required dedicated airframe and engine technicians to keep them flying. These people also helped load and unload the aicraft, fuel them, and helped during hoisting operations. The maintenance often took place late into the night, especially during field operations. The final two S-51s arrived at the RCAF station on Sea Island in Vancouver, B.C., in May 1949. One of the aircraft was assigned to 123 S&R Flight at Sea Island to be used for training and SAR operations. The RCAF planned to use the other to fly surveyors on a mapping program in the Yukon and British Columbia, as very little mapping of Northern Canada had been done prior to the Second World War. The aircraft was assigned to RCAF Station Whitehorse, Yukon, where it took part in an Army survey project, moving surveyors and their equipment between Fort Nelson and Fort St. John, B.C., over the summer of 1949. Use of the helicopter cut surveying costs and increased the area that could be covered. At the completion of the program, the helicopter returned to Whitehorse for SAR duties. By the end of 1949, the RCAF owned five S-51s, while the Canadian Army owned two, plus the two Bell 47Ds. Throughout 1950, the aircraft continued their training and SAR work as well as performing at various airshows and demonstrations. The list of operations grew as the RCAF explored the aircraft’s capabilities. In Nova Scotia, the S-51 took part in radar calibration exercises with an aircraft carrier in St. Margaret’s Bay, at one point landing on the carrier; in Ontario, the aircraft was used on forest fires; in Manitoba, it flew recovery operations following flooding; while on the West Coast, it took part in tests to determine the suitability of using the helicopter off the back of a ship–the MV Songhee–for searches along the coast. By 1951, Sikorsky had ceased production of the S-51, and it was producing spare parts on a limited basis. The Air Force looked at stockpiling spares for future needs. The S-51 continued its survey work, this time in the Mackenzie Mountains in the Northwest Territories. Other notable operations included hauling dynamite to an ice blockage from a river near Medicine Hat, Alta. ; the expansion into mountain operations with landings up to 5,300 feet; and the salvage of one badly-damaged S-51 by another on Mary Mountain, near Fort Simpson, Northwest Territories. Another notable change during the year was Heaslip finishing his work as an instructor at Rivers. He was replaced by FO Tom Causey. During 1952, the Canadian forces explored further modifications to the S-51. The third S-51 had its fabric covered blades replaced with new metal blades, allowing an increase in maximum gross weight to 5,500 pounds (2,495 kilograms), while the RCAF investigated the use of bear paws or skis. Reports from the field indicated that two accidents S-51s had been involved in would not have happened if they had been fitted with some sort of snow skis. One of the RCAF’s aircraft was already using bear paws, provided by Okanagan Helicopters in Vancouver. 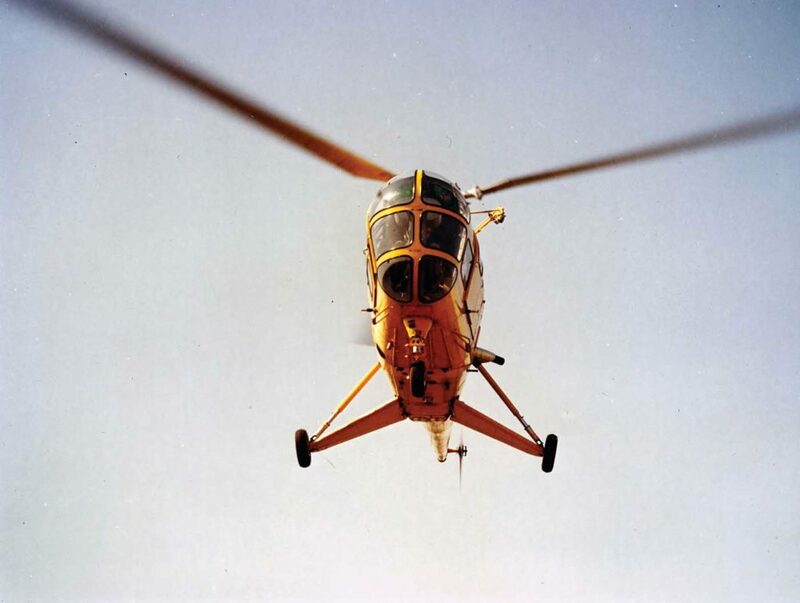 While Greenwood in particular was keen to explore the use of floats on the aircraft, the anticipated arrival of the Piasecki H-21A twin-rotor helicopters, which were equipped with flotation gear, put this requirement on the back burner. 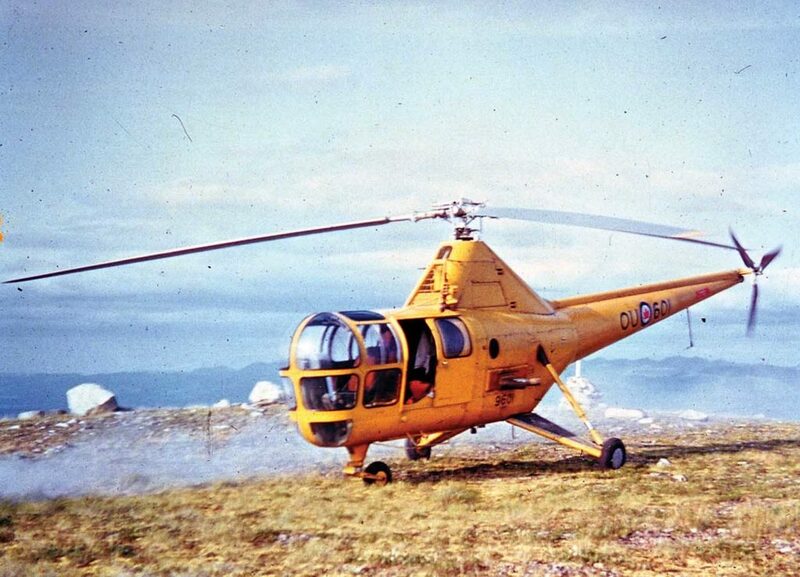 One of the S-51s arrived at Okanagan Helicopters to be used for an RCAF mountain flying course in 1952. The following year, the RCAF looked at obtaining cargo nets for moving bulky equipment over inaccessible terrain–which would require testing; considered using the S-51 for instrument flying, explored the installation of dual controls; and made plans to re-allocate the S-51s after the introduction of the H-21A in 1954. The H-21 was one of just three types on order for the Canadian Forces, along with the Sikorsky S-55/H-19 and Sikorsky S-58/H-34. 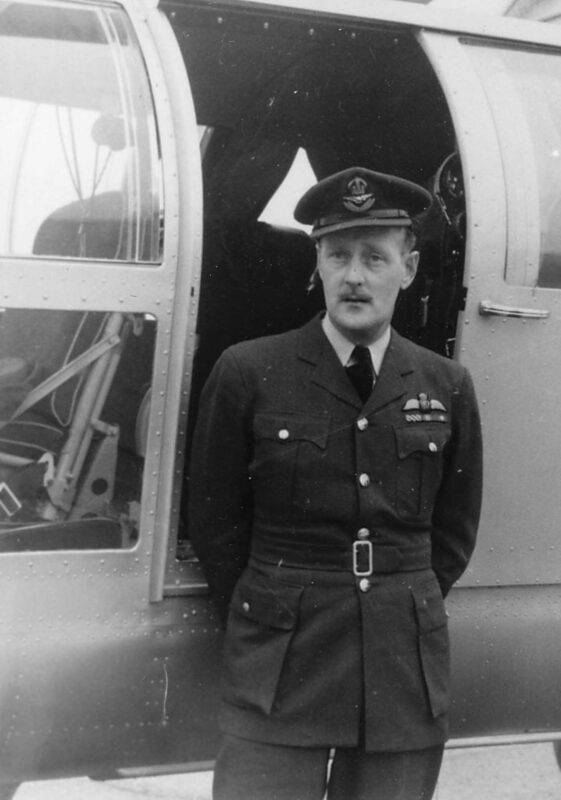 The RCAF intended to form an all-helicopter squadron with Heaslip in charge, but this would also require a buildup of new pilots. It planned to ferry five of its S-51s to Rivers for pilot training. 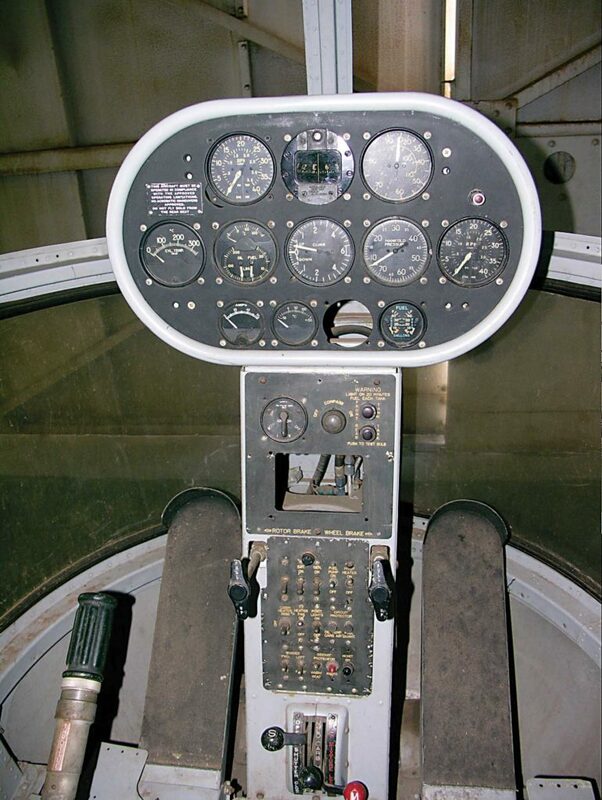 Three of the aircraft were upgraded for instrument and night flying in 1954, and they were also fitted with dual controls for training. The S-51’s primary role shifted from SAR to range patrol under visual flight rules, and the S-51s would be used for training and range patrol duties as soon as the H-21As were distributed to the SAR units. The first H-21A arrived at Arnprior, Ont., on Aug. 27, flown by Heaslip. With the arrival of the H-21s, the S-51s began to find new homes, but the S-51 that had been based on Sea Island didn’t survive the year–it was destroyed in a hangar fire on April 29, 1954. By 1955, four of the remaining S-51s were located at Rivers, with one each at Chatham, N.B., and Cold Lake, Alta. By this time, lifetime spares procurement for the type was becoming critical. The RCAF hoped to use the S-51s until at least 1961, so made a plan to obtain surplus S-51 parts from the U.S. military. 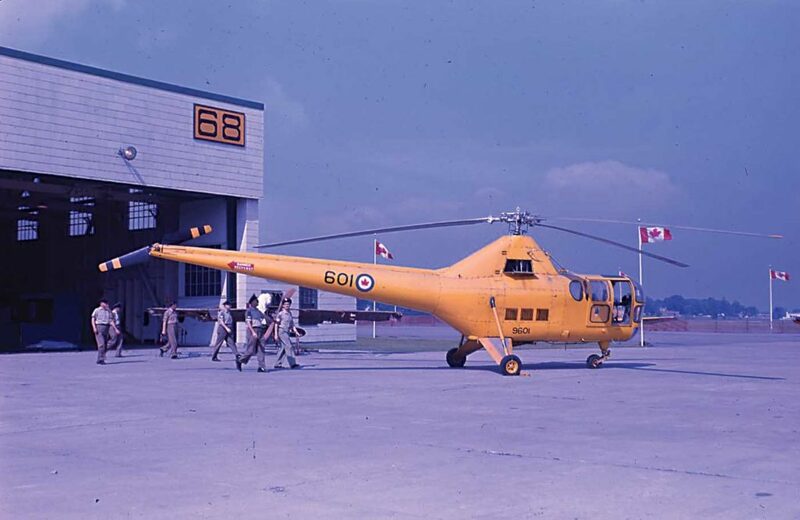 The aircraft in Cold Lake and Chatham were used for SAR (the Cold Lake S-51 also patrolled the base’s air weapons range) and their pilots spent a lot of time practicing with the aircraft’s electric hoist. The crewman in the back was essential for hoist operations, as it was quite difficult for the pilot to see when hoisting solo. “When we did winch practice in the warmer months, with a crew of two, we used a 150-pound [68-kilogram] dummy, and we would winch ourselves down to ground effect before we could lift the dummy from the ground,” recalled Army pilot Terry Jones during a later interview. “The great, long collective was a handful to lift; the steel throttle, to twist; the pedals, although huge, were a good distance forward; and the cyclic could cause interference with the collective on takeoff, when compensating for the rolling motion to the right,” he continued. By 1959, the RCAF planned to phase out its S-51s with the procurement of six Vertol 107 twin-rotor helicopters, and this was expected to begin during 1961/62 and be complete by 1962/63. The training courses at Rivers continued to churn out new helicopter pilots–by the end of 1959, seven helicopter conversion courses had been held, graduating 20 pilots. In early 1960, the RCAF decided not to repair any S-51s involved in crashes, and provision of spares for the type beyond mid-1962 was not authorized. Despite this, all the S-51s were equipped with new metal blades by March 1960. A training accident in June 1960 destroyed one of the remaining S-51s, as it rolled onto one side during a takeoff, but thankfully both the student and instructor escaped unhurt. By 1962, many of the S-51s were moved to storage. The last flying S-51 at Rivers was involved in an accident in April that year and was written off. The S-51 at Chatham was the last one in operation, retiring on Jan. 1, 1965, when it was replaced by a Piasecki H-44. The S-51 was flown to Rockcliffe and became part of the Canada National Aeronautical Collection, stored in the National Aviation Museum (later renamed the Canada Aviation and Space Museum). Today, that S-51 is out on loan, on display at the National Air Force Museum of Canada in Trenton, Ont. The other former-RCAF S-51s ended up in various locations around North America. One is on display in the New England Air Museum in Windsor Locks, Conn.; one is at the American Helicopter Museum in West Chester, Pa.; and one is in the Hangar Flight Museum in Calgary, Alta. For 18 years, the Sikorsky S-51/H-5 served the RCAF and Canadian Army with distinction and pride, allowing the forces to enter the world of rotary-wing operations, and giving many military pilots their first introduction to the wonders of vertical flight. Bob: a Well written story, not trying to contradict anything you wrote, but this my story as lived. In the Navy, I was trained on the Avenger, Harvard, and SeaFury at VT-40 Squadron up until 1954, then transferred to HU-21 Squadron, Training on Bell 47G, Piasecki HUP-3 and HO4S-3 (S-55). In 1956 I was transferred to the icebreaker HMCS Labrador for a tour of the Arctic including the construction of the Dew Line for four months, then a month later, transferred to RCAF Station Knob Lake, flying S-55’s on the Mid-Canada Doppler Detection system that was being installed across the country. 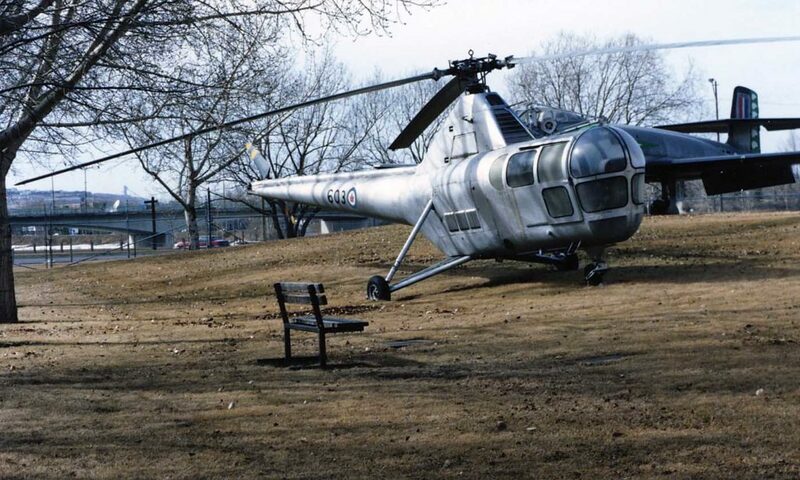 Mid Canada Line using aircraft supplied by the RCAF, Piasecki H21& 44’s. crashed on Jan.8 1958 en route from Hopedale to Knob Lake. Overnighted at minus 44*f, picked up the next day and flown to the American hospital in Goose Bay. The only reason I wrote this was to give you some idea of what was going on and what A/C was involved at the time. Later in life, I actually worked on the ADCOM line out of RCAF Station Parent, Que. I was at the radar site when Kennedy was assassinated, the BOMARC missiles were on standby in Valdor. I think I am the only aviation type that was involved in all Three (3) warning systems. A great article. Brings back a lot of fond and not so fond memories. The picture of 9601 was taken at 5500′ on top of Mt Golden Horn Yukon on the 14 August 1954. 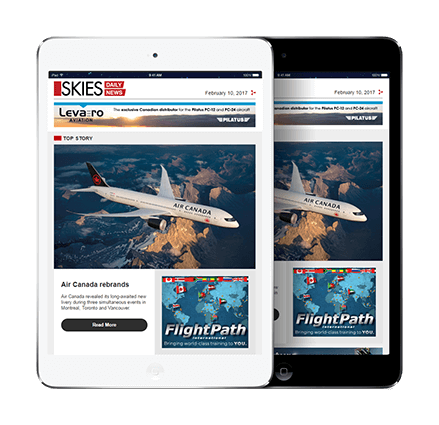 The following day I flew 9601 for 6:30 on a return flight from Whitehorse to the Alaska border and investigated three possible Mid Canada Line sites at 6300′,5000′ and 5500′. The 27th August 1954, when I returned her to RCAF Stn Namao, was the last time I saw 9601 until about five years ago when I discovered her at the Hamilton War Plane museum. Two years ago when I was visiting relatives in the Hamilton area I was advised that she had been recovered by the Air Force and was now at the RCAF museum in Trenton. However, they told me that I was in luck because that very day their Lancaster had to make a trip to Trenton and for $2500 they would let me fly along. I thanked them for the offer but since I’d been paid to do so the last time I’d flown a Lanc I just couldn’t bring myself to pay for the privilege. Besides my wife would not have known where I’d gone.